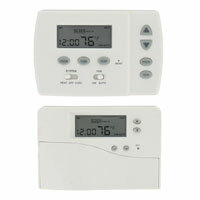 Polycarbonate Wall Mount Thermostat Cover prevents damage and unauthorized adjustments of thermostats. Low profile design with ventilation slits. 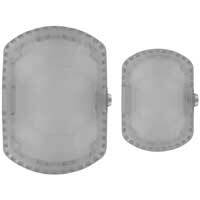 Comes with two keys and mounting hardware for drywall and concrete walls. Digital Programmable Indoor Thermostat with Heat Pump Control controls temperature inside of commercial and residential buildings. Filter icon will display when filter needs to be changed. Compact Digital Thermostat with Heat Pump Control directly controls the furnace, small boiler, air conditioner, circulator fan, and heat pump. 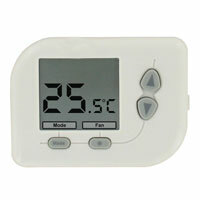 Thermostat can be operated off batteries. Digital Touch Screen Programmable Thermostat with Heat Pump Control controls indoor temperatures in commercial and residential buildings. Easy to read LCD display.